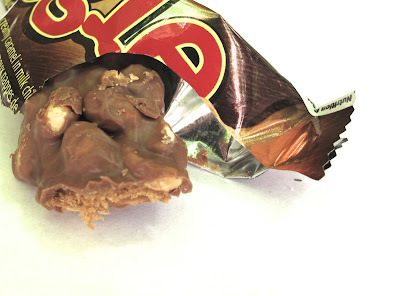 The name "Nuggle" bar is evocative of many images, but many of them are not appetizing. The name was part of what drew me to try the Nuggle Bar. The other reason was because it's produced by Charles Chocolates for sale in Trinidad and Tobago. I have never had candy from these locales and was determined to taste test. The description on the package of "lots of peanuts, chewy fudge, creamy caramel in milk chocolate" sounded enticing, too. Not so! Maybe the whole bar got a little stale in transit but I don't think that was the underlying reason for the muddied flavor. 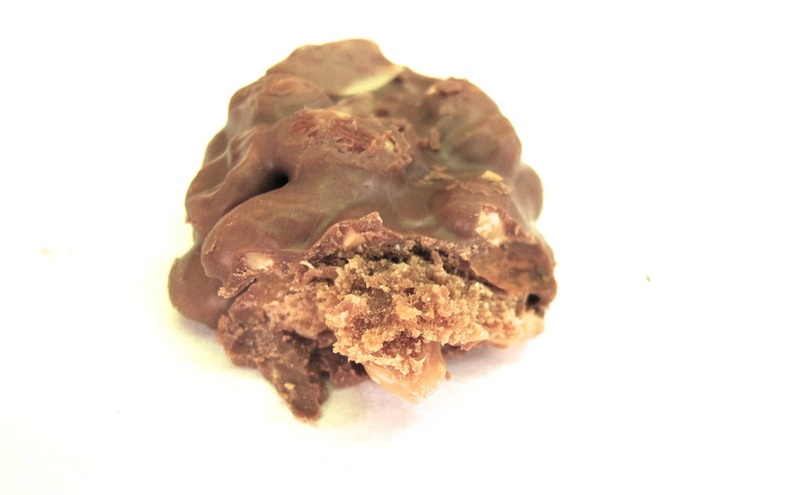 Instead of gooey fillings of fudge and caramel, the bar's center was a dense crumbly sweet substance that didn't quite taste of either chocolate or caramel. Instead the center tasted simply sweet and any other flavor note was drowned out by the super sweet milk chocolate exterior. The Nuggle was a disappointment, simply too sweet without a lot of substance. Did you find it for sale in NYC?